I am an award-winning writer, TV-Radio host, life coach, and motivational speaker on personal growth and empowerment, women’s issues, the power of the mind, and personal transformation, inspiring people to move through obstacles and achieve their dreams. I’m the great granddaughter of one of China’s greatest statesmen, General Tso Tsung-Tang, immortalized in pop culture for his famous dish “General Tso’s chicken”, and granddaughter to Albert Liu, a former Senator serving the Taiwanese government. 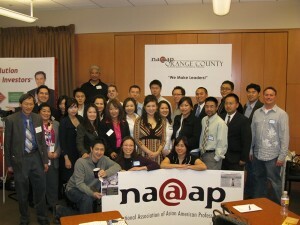 I have a passion for community activism and serve on the Board of several non-profits including the LA Asian Pacific Film Festival, National Asian Artist Project, and as a National Senior Advisor for the National Association of Asian American Professionals (NAAAP) and Women in NAAAP. I currently serve as State Secretary for the Asian Pacific Islander Caucus- California Democratic Party and was recently named one of “2010 Outstanding 50 Asian Americans in Business” by the Asian American Business Development Center. I’m also a member of the National Speakers Association and host/producer/writer of my talk radio show “Positive Changes with Panney Wei” on KCAA 1050 AM, NBC News radio and write a column as the Hollywood Relationship Expert for The Examiner.com. I am trained as a Certified Hypnotherapist and life coach, finishing a Doctorate in Naturopathy, and am the author of an upcoming self-help book on attracting the love of your life. www.panneywei.com. I’m a Certified Life Coach and Hypnotherapist – Author- Motivational Speaker and TV-Radio Host versed in the power of the mind and moving people through obstacles so they can achieve their dreams. I host my show “Positive Changes with Panney Wei” on KCAA 1050 AM NBC News radio to nearly a million listeners a month and podcasting at www.kcaaradio.com and iTunes where my show is ranked Top 100 Best Podcasts on iTunes in Spirituality. My dream is to help more people through the world of publishing or television and hope to host my own TV show someday. I have a private practice doing corporate training, one-on-one coaching and hypnotherapy, and motivational speaking, and my goal is to change the world and transform people’s lives, one person at a time. I was recently named one of the “2010 Outstanding 50 Asian Americans in Business” and greatly honored that I’m being recognized for my achievements, life purpose, and work in the community! I’m first generation Taiwanese and very proud of my heritage! As an immigrant coming to America and being naturalized at the age of ten, I realized the value of being multicultural and bilingual in America today and the value and importance of cherishing one’s Chinese or Taiwanese heritage. There are so many people in our community that have contributed to the advancement and fabric of American society and we should be proud of our contributions as a community. My vision for the future of Taiwanese America is for Taiwanese Americans to rise in every sector of society, to have leaders reflected in every industry and to come together as a community to support each other whether it’s in the arts, film, music, science, law, non-profit, health and wellness, television, engineering, or other fields. We are only as strong as our numbers and our ability to work together and support each other, so my hope and vision is for all of us to see each other not as each other’s competition but as each other’s sisters and brothers. Our cultural heritage is what makes us unique, our values and ancestry is what gives us a strong foundation, and when we bring them to America and bridge East and West, that’s where our strength and power lies. It’s in the combination of the two, drawing on what’s best in the west and merging it with the east and our Taiwanese heritage. I hope one day there will be an Asian American president of the United States and hopefully that person will one day also be Taiwanese! My favorite Taiwanese dessert is the Taiwanese bao-bing slushy ice with red bean, mochi, mango jelly, and condensed milk! I could eat that all summer!